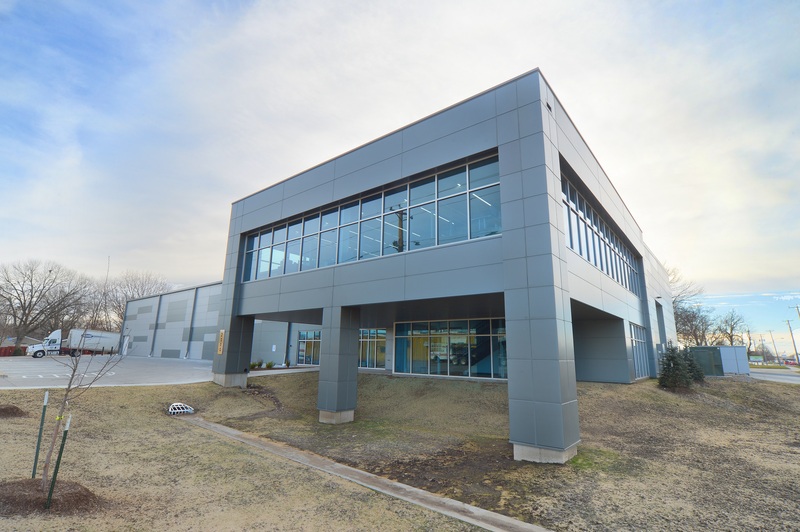 LEWISVILLE, Texas, January 24, 2018 – When premier automotive parts and accessories provider JB Autosports Inc. needed a new headquarters, the company turned to NCI Building Systems Inc. for a comprehensive metal enclosure system that offers the very best in aesthetics, performance and value. Based in Des Moines, Iowa, JB Autosports specializes in performance aftermarket products for a variety of automotive makes and models. But unlike other area shops, JB Autosports maintains a robust inventory and dedicated shop cars to provide firsthand knowledge concerning vehicle modifications and product installation processes. In turn, its new 25,000 square-foot facility required an all-inclusive, functional design. 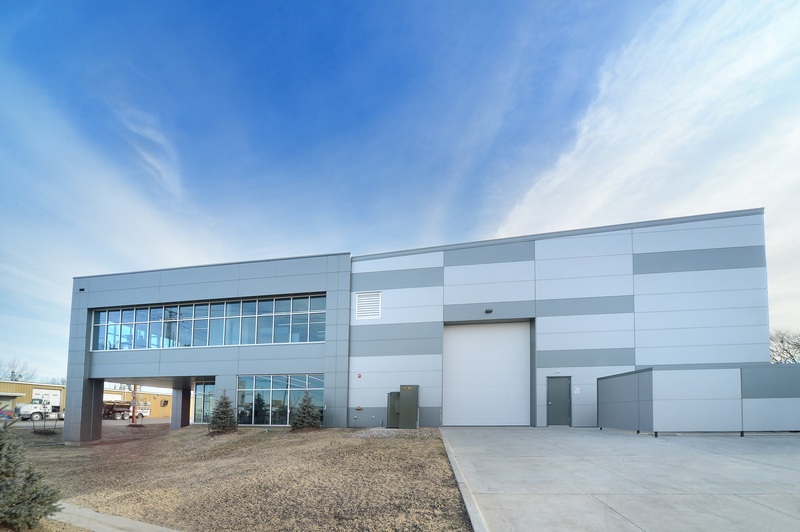 "The primary use of the square footage is a warehouse storage area and shipping/receiving facilities," says GTG Architects' Rachel Bryant, Assoc. AIA, intern. "In addition, the project incorporates a photography studio for products and a showroom. There's also a second-floor mezzanine that features office space. It's a comprehensive facility." The project incorporates metal framing and building products from multiple NCI brands, including Ceco Building Systems and Metl-Span. The facility started with primary and secondary steel frame systems by Ceco. Ideal for new construction or retrofits, the frames are custom-designed to meet project specifications and building codes. 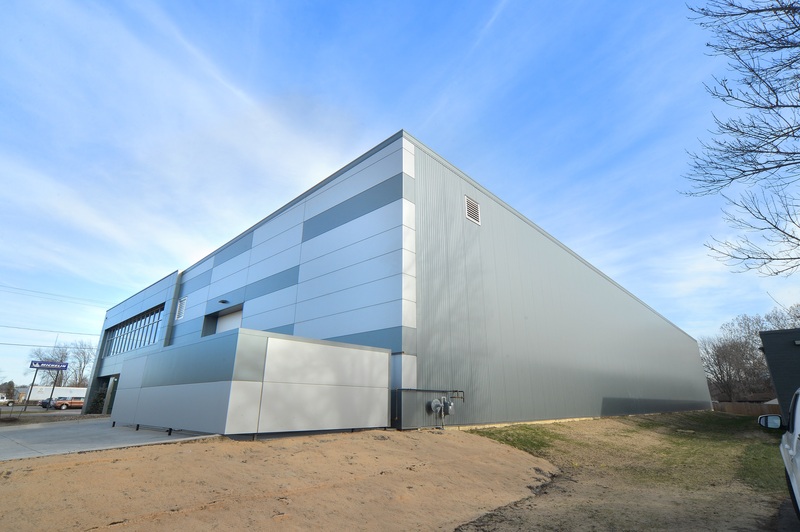 The design team at GTG Architects, headquartered in nearby Johnston, Iowa, specified an insulated metal panel (IMP) building envelope by Metl-Span to meet a number of project-specific performance requirements. The project’s exterior showcases 14,613 square feet of 2.5-inch, 22/26 gauge CF Architectural Flat IMPs in Dark Gray Metallic, as well as an additional 5,109 square feet of Metl-Span CF Architectural Flat IMPs in Silver Metallic. 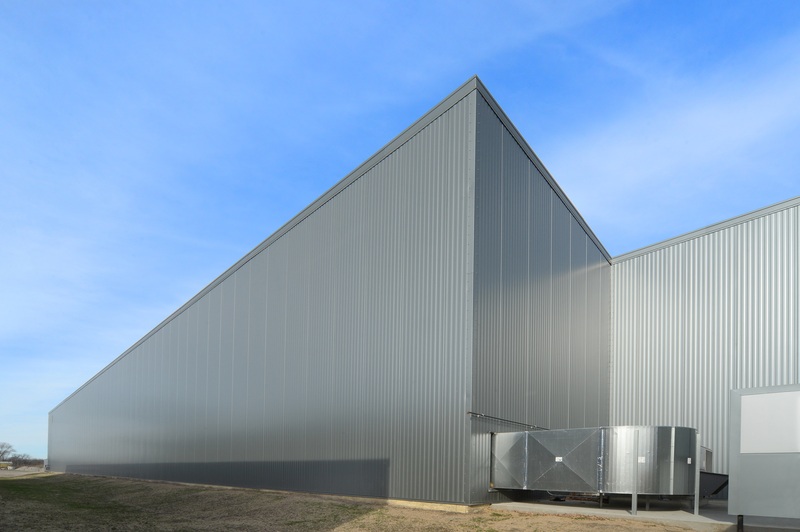 The sides and the rear of the building features 8,836 square feet of Metl-Span’s Mesa panel, a lightly corrugated profile in Dark Gray Metallic. While the bulk of the building envelope relies on the muted gray hue, a pair of prominent facades showcase silver accents interspersed among the gray panels. The team from GTG Architects implemented the dual colors to create aesthetic “variation,” according to Bryant. 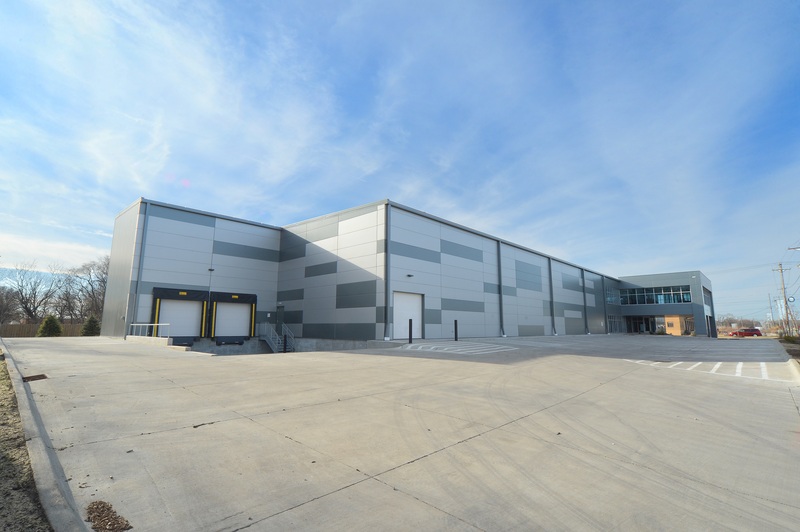 The IMP building envelope delivered on multiple performance, aesthetic and timeline requirements. 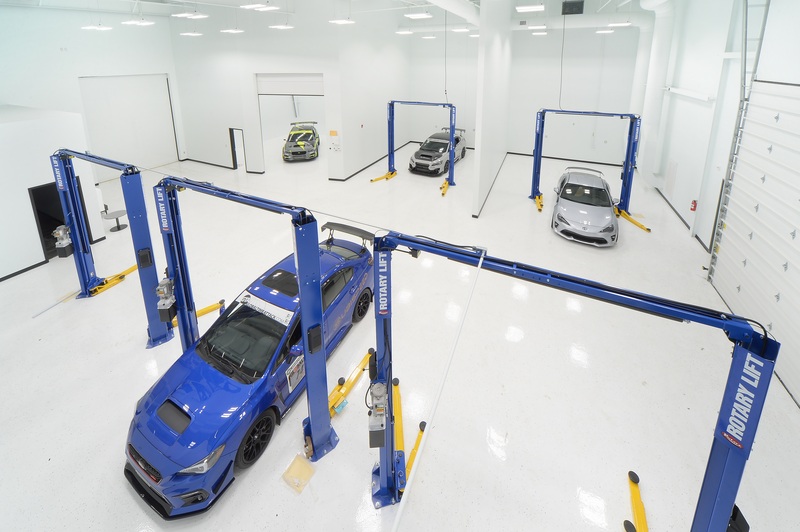 The client, JB Autosports, needed a modern exterior appearance that combined thermal performance with minimal installation times and maintenance. Metl-Span CF Architectural IMPs were the answer. "The major project considerations were an expedited installation process with good thermal performance inherent in the building envelope product," Bryant said. IMPs like Metl-Span CF panels are comprised of polyurethane insulation inserted between rigid metal skins. The product delivers optimal energy efficiency without sacrificing aesthetics or budget by achieving the four critical weather barriers — air, thermal, vapor and water — in one panelized component. In comparison, multi-component building envelopes address these barriers with compound product sources and installation steps. This leads to more difficult coordinating issues and a greater risk of building envelope failures due to incompatible components. Another advantage of IMPs is the product’s relative light weight when compared to other building products, such as fiber cement, masonry, terra cotta or curtainwall. Heavier building materials require more complex installation methods and additional structural integrity to support their bulk. Moreover, IMPs require little to no maintenance throughout the product’s long lifecycle. "With IMPs, the burden on the structure is significantly reduced," Bryant noted. "Masonry requires extra footing, larger columns or a back-up stud system. “A product like fiber cement requires more maintenance as well as a different framing system. You can't mount directly to the wall girt, and it wouldn't stand up to thermal performance requirements." 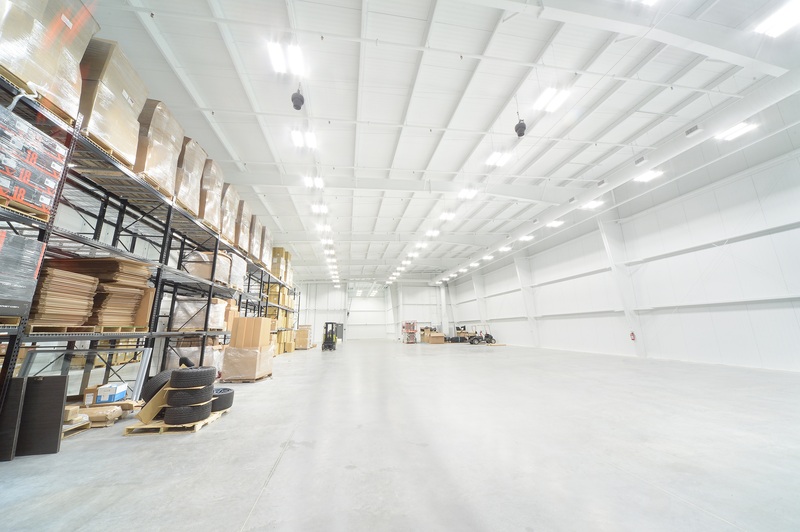 The new JB Autosports facility also relies on an IMP roof system in the form of Metl-Span’s 4-inch CFR standing seam roof panel in vibrant Snow White. The high-performance insulated metal roof panel showcases exceptional R-values along with 2-inch high standing seams for all-weather installation and performance. Unlike other insulated roof systems, CFR provides a structural diaphragm when installed with the unique Metl-Span clip design, eliminating the cost and space intrusion of convention bracing. 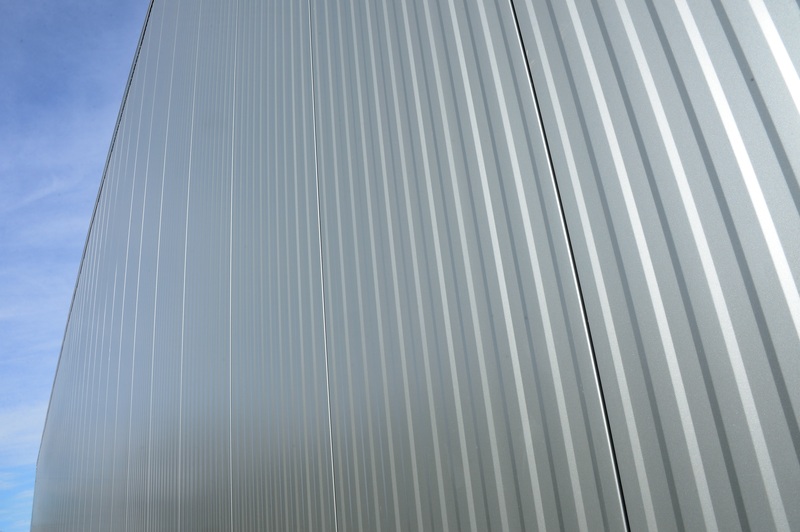 And the product’s all-in-one composite design offers the same expedited installation process associated with Metl-Span insulated metal wall panels. According to Bryant, this attribute played a key role in the specification process. JB Autosports opened the doors to its new facility in late 2017. 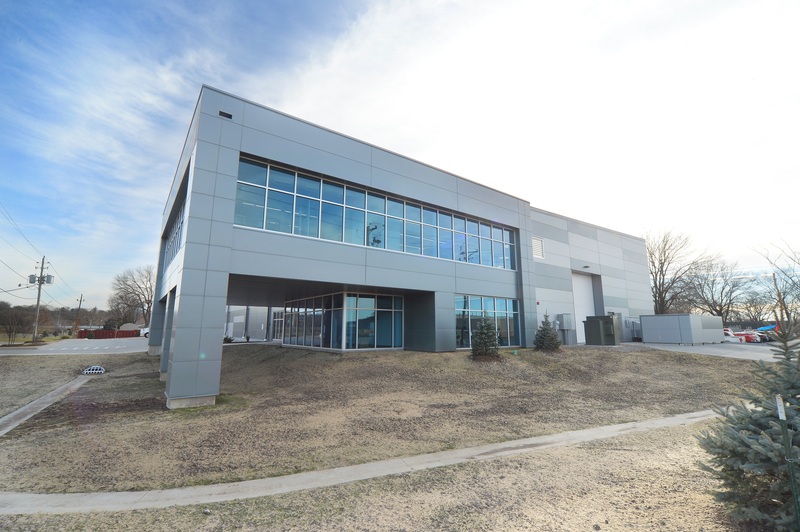 The project features over 40,000 square feet of Metl-Span insulated metal wall and roof panels installed on a custom, high-performance steel framing system by Ceco. 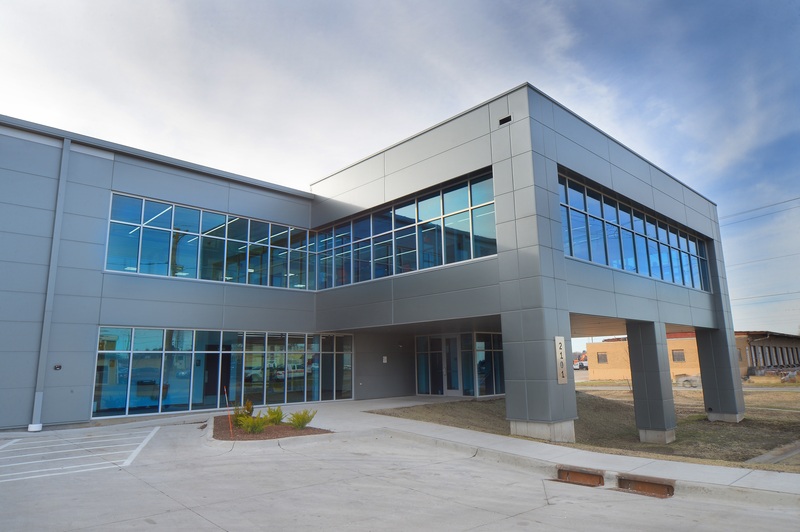 This collaboration between metal component and metal building system providers offers the best in quality control, product integration and technical expertise: the NCI Building Systems’ advantage.